In this research,QSAR study has been carried out on quinolizidinyl derivatives as potent inhibitors of Acetyl and Butyrylcholin esterase in Alzheimer’s disease. Despite significant research efforts in both industry and academia, there are currently no diseases modifying therapies available to treat this illness. Significant evidence suggests that the pathology of AD is linked to generation of β-amyloid peptides (Aβ) through proteolytic processing of amyloid precursor protein (APP). Genetic algorithm (GA), Jack-Knife and stepwise multiple linear regressions (stepwise-MLR) were used to create non-linear and linear QSAR models. The root-mean square errors of the training set and the validation set for GA–ANN model using Jack-Knife method, were 0.1406, 0.2165 and R2 was 0.90. Also, the R and R2 values in the gas phase were obtained as 0.88 and 0.78 from GA-stepwise MLR model, respectively. Also, we suggest that compounds No.4, 6, 10, 14, 24, 26 and 34 have the most appropriate structure for the design of drugs to pharmacists. Electronegativities, atomic polarizability and atomic van der Waals volumes were important descriptors in our study. 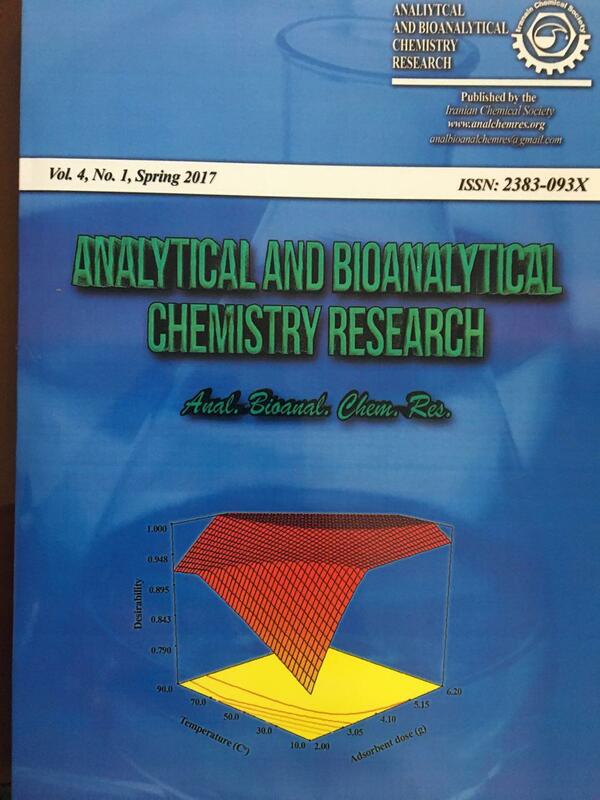 Geometry optimization of compounds was carried out using the B3LYP method employing a 6–31G (d) basis set. Y. An, C. Zhang, S. He, J. Neuron. 53 (2007) 477. G. G. Glenner, C. W. Wong, Biochem. Biophys. Res. Commun .16:120 (1984) 885. M.Citron , Nat. Rev. Drug Discov.9 (2010) 387. M. N. Sabbagh, Am. J. Geriatr Pharmacother .7(3) (2009) 167. M. M. Mesulam, A. Guillozet , P. Shaw, B Quinn Neurobiol. Dis. 9 (2002) 88. Q. S. Du, P. G. Mezey , K. C Chou, J. Comput. Chem. 26 (2005) 461. Q. S. Du, R. B. Huang, Y. T. Wei, L. Q. Du , K.C. Chou, J .Comput. Chem. 29 (2008) 211. S. C. Basak, S. Bertelsen , G. D. Grunwald , Toxicol. Lett. 79(1-3) (1995) 239. A.R. Katritzky, V. S. Lobanov , M. Karelson, Chem. Soc. Rev. 24 (1995) 279. H.Gonzalez-Diaz, I. Bonet , C. E .Teran, Eur. J. Med. Chem. 42 (2007) 580. S. Vilar, L. Santana ,E. Uriarte, J .Med. Chem. 49 (2006) 1118. S. Handschuh, J. Gasteiger , J .Mol. Model. 6 (2000) 358. T. Kimura, J. Chem. Inf .Comput. Sci. 38 (1998) 276. J. Huuskonen, J . Chem. Inf . Comput. Sci. 40 (2000) 773. G. Schneider, J. Med. Chem. 42 (1999) 5072. F. R. Burden, D. A. Winkler , J. Med. Chem. 42 (1999) 3183. F. R. Burden, J. Chem. Inf. Comput. Sci. 40(6) (2000) 1423. J. Nilsson, S. de Jong, A. K. Smilde, J. Chemom. 11 ( 1997) 511. S. Hulland, Strategic Manage. J. 20 (1999) 195. N. J. Lobaugh, R. West , A. R. McIntosh, Psychophysiology. 38 (2001) 517. A. Hoskuldsson, J. Chemom. 2 (1988) 211. G. Ghasemi, S. Arshadi, A. Nemati Rashtehroodi, M . Nirouei, S. Shariati , Z. Rastgoo , J .Comp. M. Nirouei, G. Ghasemi, P. Abdolmaleki, A. Tavakoli , S. Shariati , Indian J .Biochem. B. Tasso, M. Catto , O. Nicolotti, J . Med. Chem. 46(6) (2011) 2170.